We need 1500 ads per week in 75 different cities, service - skill trader and service - household section. Eventually we want to post 3000 ads a week as the end goal. must be new ads posted everyday for at 2 week straight, then you can renew the ads but only after 2 week. WE WILL NOT PREPAID FOR ANYTHING, WE CAN PAY YOU DAILY AFTER WE CAN VERIED THAT IT'S LIVE FOR 24 HRS. We are looking to pay 50cent per ads. Service-Household and Skilledtrade section. You will pay me after check my live link. I have payment method paypal, PM, Payoneer etc. Last edited on 9th Feb 2018 at 09:30 AM. 2 free samples ads available . I will make a professional add. Don't waste your precious time hiring people who doesn't provide the quality of work for which they promise and commits to deliver! Hire "atta" to make professional add on craigslist. First 2 or 3 add are free of cost to check my work. 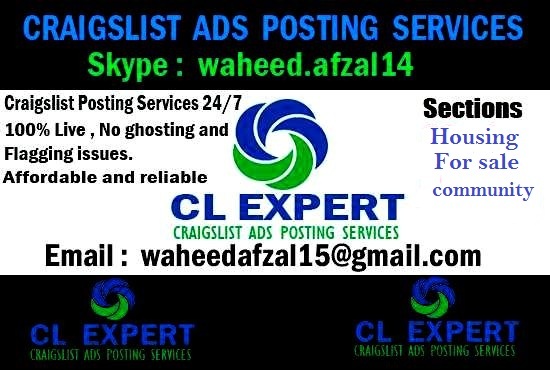 I am posting ads on Craigslist from last 5 years had a great experience in posting. QUOTE me for all details Special Offers are available contact ASAP. We are offering continues and reliable posting service with long term relationship mentality, Your business is my business so. dont hesitate. Add me and get the ultimate service. Do not waste your time. You need to have a lot of patience All auto bots and programs just waste of time and money after CL update in 2017. Сraigslist site is very complex system. When you have a broken pipe, you call to your plumber. Just outsource this work to freelancer/poster. I can with bulk posting on CL. I need 2-3 unique headlines/ texts for your ads ( it must be unique ) + list of your target cities. Сraigslist it's a pretty complex system. You need to have a lot of things such as: different IP, proxies, random text generators,Captcha accounts and so on. Don't waste your time. Just outsource this work to freelancer or Craigslist poster. I can help with daily posting in multiple US cities( all 50 US states).The price is 1$-3$ per ad for the most of categories. Craigslist is the 15th most visited web site in the USA. 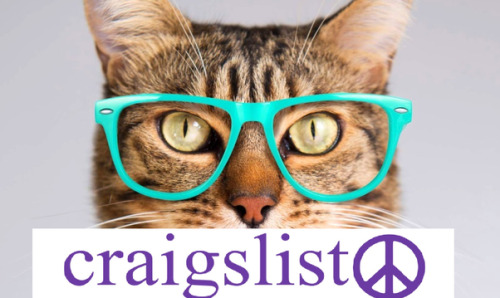 Experience has shown that Craigslist is one the most effective options for advertising. If you need big advertising campaign for your business, I can help with Craigslist posting in all 50 US states. If you want the most reliable CL Poster in the market then you should contact us. We are 20 member team CL poster. We can post bulk quantity.